Fortnite Sold Over 500k Copies | Nerd Much? The reviews for Fortnite thus far have been more or less lacklustre due to a few flaws in the gameplay. They are just enough for some players to affect the part of the game that is actually quite fun. Despite all this, it seems that Fortnite has been quite successful. 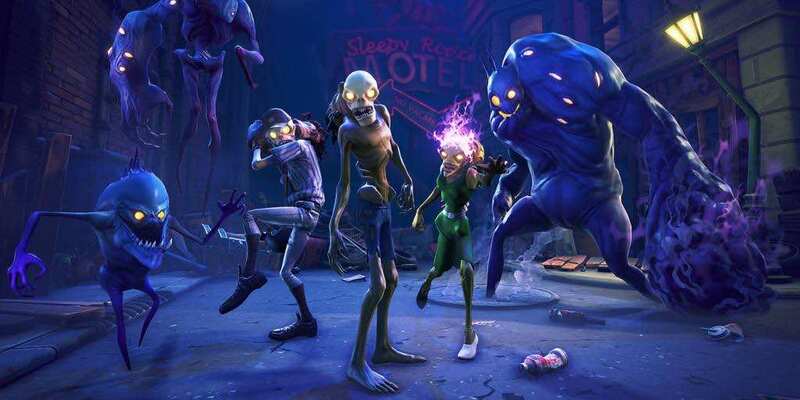 According to a tweet from the game’s creative director, Darren Sugg, Fortnite has sold over 500k in digital pre-order sales within the first day of the game’s Early Access period. Though Fortnite will be going free-to-play once it leaves Early Access next year, pre-order bundles and various special editions have brought in revenue from prices like $39.99 for the standard edition and $149.99 for the limited edition. If you don’t already know, Fortnite combines elements from quite a few games, like Minecraft, Plants vs. Zombies, and even sprinkles of Overwatch. The horde of zombies is coming for you regardless, and it’s up to you and your friends to figure out how to stop them. You have your weapons and special abilities, depending on the character you chose, but that won’t be enough for the oncoming assault. It’s up to you (and your friends if you so choose) to work as a team and build the ultimate fortress. The design of your fortress all depends on your strategy; build a winding labyrinth so you can pick off the horde one by one, build a battlement of traps and sit back and watch, or reinforce the walls and create sniper towers for more direct combat. There are far more possibilities than those, which is what makes the game for attractive despite some of the gameplay flaws. Be sure to check out the review for Fortnite to decide for yourself if these vaguely referred to flaws are worth dealing with or not. The review should be out fairly soon, so you won’t have to wait long. If you’re look for something to pass the time while we’re writing the review and as we enter August, there are few games coming out that might interest you. My personal favorite is coming out August 8, Hellblade: Senua’s Sacrifice. It’s a short game, but the price reflects that and the trailers make it look worth it.